This conference focuses on the recent developments in contract theories. Papers are invited on all topics of contract theories including: Relational contracting, transaction costs, renegotiations, incentives, award mechanisms, incomplete contracting, contract design, benchmarking, privatization, corruption, institutions. 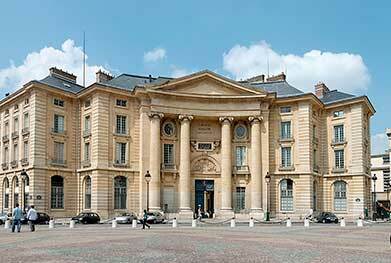 The conference will take place on 4th and 5th June, 2015 at the Sorbonne Business School – BioPark Building, 11 rue Watt, 75013 Paris. The conference is organized in cooperation with the Florence School of Regulation , the IESE Business School, the Centre for Market and Public Organisation at the University of Bristol, the Regulation and Governance research group at Paris Dauphine and the Paris School of Economics — OSE Labex. 1. create an account on the registration site. You will receive an e-mail confirming the account creation. 2. Confirm as directed in the e-mail, this will take you to the conference registration and on-line payment page. After completing the registration process, you will receive a mail confirming registration and payment. If you cannot pay on-line, but only by bank transfer, fill a registration form and mail it to us. We will send you an invoice with the information required to complete a bank transfer.